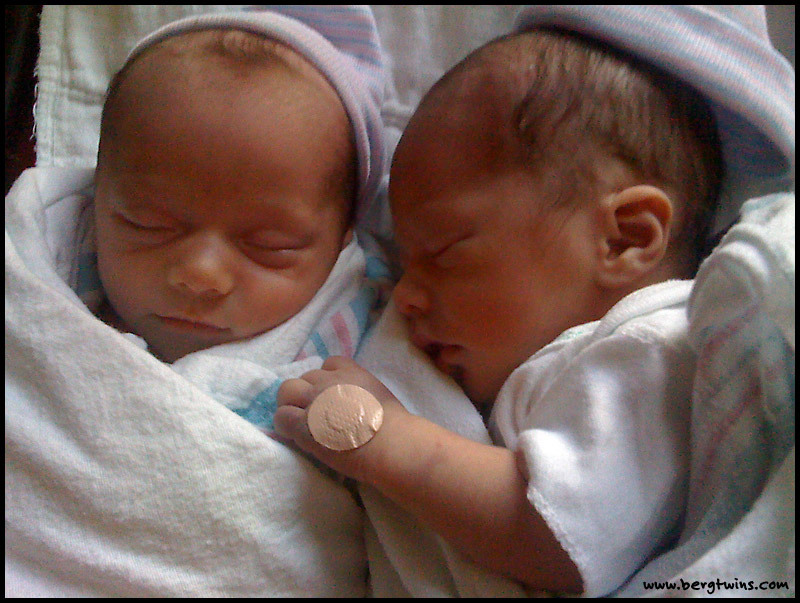 Berg Twins: The Boys Turned 3 Months Old Today! It's 11pm and I want to get this post out before midnight since today is the boys' 3 month birthday, so I better type fast. I can't believe my little guys are now three months old. The first two months felt more like two years (because of the multiple late night feedings! ), but the third month flew by so fast (we are down to one late night feeding per child)! What a difference sleep makes! -sure know what a bottle looks like and what it means! 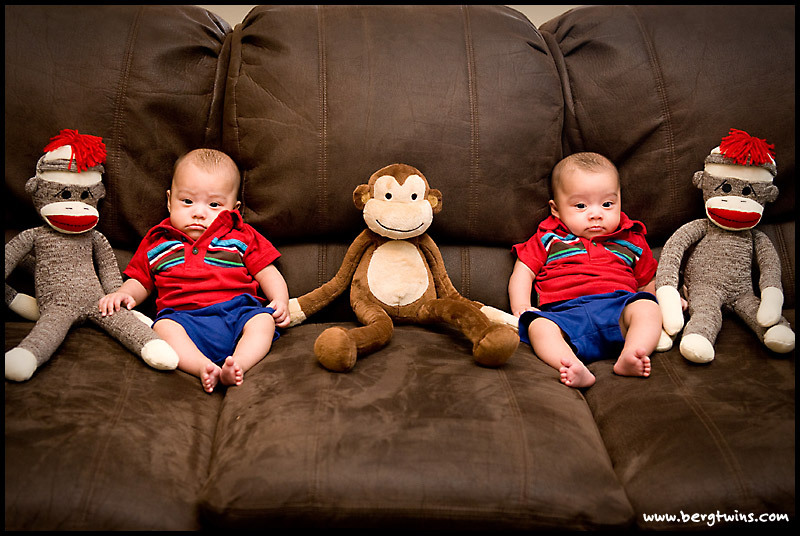 3 monkeys = 3 months...They were not in the mood for pictures today! Few hours old...notice how big that tiny dot band aid looks on Bryce's hand (well, at least I think that one is Bryce).